As wonderful as a good grammar textbook can be, it is not exactly the same. There are no colorful cartoons, fun songs or addictive games in a textbook. 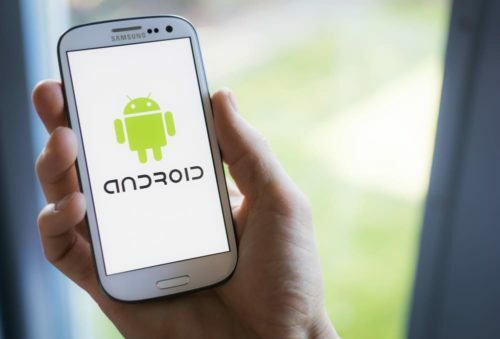 But that is exactly what the amazing English grammar Android apps in this article will offer. I will show you some of my favorite Android apps to learn English grammar, whether you need to study a specific topic or just want to get familiar with basics. You can browse through this carefully-curated list to pick the apps that you feel will be the most useful to you. Grab your Android device and get started! We all have a habit of filling up our smartphones with apps we do not even use, until our storage space runs out. Well, these tips will ensure that you make the most of any educational English app. Set aside time for learning: App learning is fun and will not take much of your time, but you need to be diligent (hardworking and committed) about it. Set aside some time—whether it is 15 minutes a day or an hour, that is up to you—everyday for language practice on your apps. Enable notifications and reminders on your phone: Sometimes we get so busy or tired that we forget the small goals we have set for ourselves. Turning on app notifications or periodic reminders on your phone will ensure you do a bit of learning every day. Follow a chronological order when you are learning something new: Most apps are designed so that you can tackle the easy stuff first before moving on to the difficult topics. And some of them will not let you “unlock” certain topics unless you have reached a certain level. But if an app does not have those options, try not to jump between topics. It is very important to learn the basics first, otherwise you will get confused and overwhelmed. Take advantage of any tests or games that the apps have: Most apps will have quizzes to periodically check your progress, and it is important that you take full advantage of them. You will see how much you have understood certain topics and which areas need more work. Keep note of the feedback that you receive. Do not use more than three apps at a time: Do not just blindly download all the apps that you feel will be useful. Try to focus on a few apps. Get all you can out of each one, then uninstall and download something new. This will help keep you serious about your app learning. I have divided this article into three sections. The first part focuses on all-around language learning apps that will teach you grammar naturally. 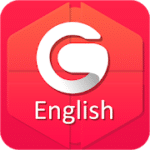 The next part focuses on Android apps that are dedicated to general grammar rules and resources, for those who require an “app-equivalent” of a typical grammar textbook. The final section covers specific aspects of English grammar. For example, if you are weak in verb tenses, you can use one of these apps to improve your understanding of them. So read on to find out which app is most suited to your needs! Below are a number of educational apps and tools that approach English grammar in a different way—by helping you speak the language first without dwelling too much on the rules. I recommend you download any one of these apps, along with a more traditional grammar app from one of the sections below to kickstart your learning process. 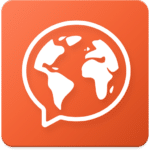 FluentU is one of the best language immersion tools out there. It is sure to help you master English grammar—without feeling like you are studying. FluentU’s innovative teaching approach shows you authentic English videos, like movie trailers, music videos, inspiring speeches and more, that have been transformed into personalized language lessons. For starters, every video comes with interactive subtitles. You can click any word you do not recognize and FluentU will pause the video to show you a definition and grammatical information. You also get a memorable picture so the word sticks in your mind. Once you are done watching, there are flashcards and fun quizzes to help you remember what you have learned. It is a fun way to learn English the way native speakers really use it. The grammar will just start to feel natural as you continue to watch and click through the subtitles. 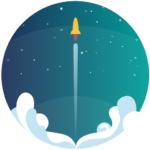 There are videos for beginners to advanced learners so you can really grow to fluency with FluentU. If you are keen to understand how grammar rules are applied (or sometimes, even broken or changed) in real-life situations, download FluentU to your Android device. You can also use it on an iOS device or your computer if you like! 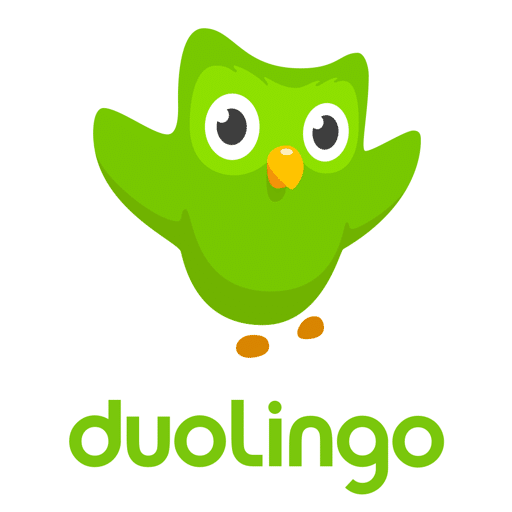 Duolingo is one of the most popular language learning apps out there, and for good reason. Each of their exercises involves translation, speaking and listening, so you work on several aspects of language learning. You will pick up new words by looking at pictures, learn how to pronounce them and immediately know if you are saying them right. There are sentence-building exercises that gradually demonstrate grammar rules, rather than making you memorize the rules. Moreover, the app has several little tricks to keep you motivated. You get rewarded for continuing a streak (several days of practice in a row). You can also earn points to unlock special lessons. Each of the exercises are pretty short and will hardly take five to 10 minutes of your time. If you want to learn English grammar in a fun, relaxed way, I suggest giving Duolingo a try. You may have heard of Grammarly, a popular and highly useful grammar and spell checking tool. It is basically a grammar-checking software that makes sure everything you type is free from grammar errors or spelling mistakes. 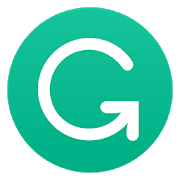 The Grammarly Keyboard is a special Android app that gives you hints and grammar help while you type. It works on social media, email and more. If your work involves a lot of writing or you just wish to be as grammatically-correct as you can, you need this app. Not only will Grammarly Keyboard help you to type in correct English, but it will also help you realize your mistakes and ensure you avoid them in the future. That is because it gives you an explanation for each correction. To get the most out of it as you advance, I suggest you practice typing with the Grammarly Keyboard turned off. Once you are done, you can turn it on and check for errors and suggestions for vocabulary improvements. This way, you practice English grammar and test your grammar knowledge at the same time. Memrise is another really cool language learning app that is built like a video game. It will make you feel that learning a language is a lot like completing different levels and progressing higher up in the game. The app is packed with videos featuring native speakers, as well as with fun games to learn important words and phrases. Again, this one takes an indirect approach to grammar, because instead of learning the rules by rote (direct memorization), you will be able to figure them out for yourself as you progress with your learning. If you are looking for a fun and effective way to learn English, then Memrise is sure to be a memorable experience. 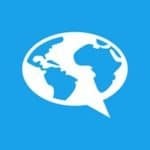 Mondly is a unique educational app that focuses on all aspects of language learning including grammar, speaking, writing, listening and reading. It is suited for all levels and will adapt itself to suit your learning needs. Moreover, unlike other apps, Mondly uses augmented reality to further help you learn and improve your pronunciation. Augmented reality involves putting virtual images onto the real world. (Remember Pokémon GO? It is like that.) With Mondly’s augmented reality, you interact with virtual teachers and chatbots to practice speaking and understanding English. It will prepare you for tackling real situations by focusing primarily on conversations. By the end of the course, you will have mastered the most useful 5,000 words and phrases of the English language. They even have a leaderboard feature that will help you compete with your friends and with people all across the globe. The apps listed below will help you understand and learn all the rules of English grammar in a step-by-step format. I would suggest you keep a notebook handy to write down important definitions, examples, rules and exceptions. This is a free and extremely comprehensive textbook-style app and a must-download for any beginner. It covers over 138 grammar topics. It has been well-liked by users with a nearly five-star rating. The grammar lessons in this app are grouped by topic (such as nouns, verbs, punctuation, conditionals) or by level. As noted earlier, I suggest you follow the approach of completing the easy grammar lessons first before moving on to the higher, more difficult levels. This app is packed with quizzes and level tests and you earn points and colorful medals based on your score. This app can also double up as a grammar textbook, since you can bookmark any topic and resume learning where you had previously left off. 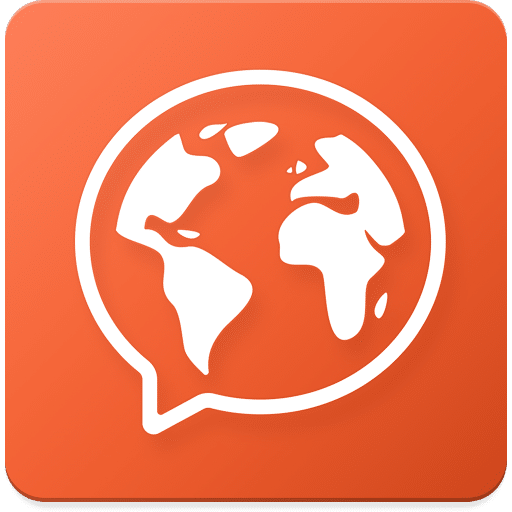 This app is perfect for intermediate and upper-intermediate language learners. It is filled with numerous tests and exercises. With a steady 4.6 rating from over 100,000 reviews, this one promises to be an enriching educational app. In fact, it has around 1,200 exercises and 60 tests. Moreover, a unique feature of this app is that whenever you give a wrong answer, the app will explain to you why it is wrong and which English alternative you should use instead. There is also an English chat option where you can converse with other language learners from all over the globe. The lessons are divided into two levels. You need to reach a certain “green” score to unlock the next level. 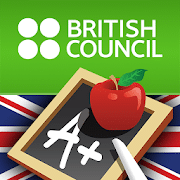 This way the app ensures that you are totally ready and confident before you move on to the tougher grammar topics. This is a good app to use as a handy grammar reference tool. It covers a host of grammar topics in great detail, complete with definitions, examples and follow-up questions to test your understanding. They have special sections on essay writing, phonetics and the rules of capitalization to help with all-around language learning. Best of all, you are not just following lessons. You will actually follow interactive exercises and practice tests to make sure you understood everything. If you are looking for a detailed approach on a specific topic or need a reference book, having this app on your Android device should do the trick. When it comes to learning the English language, the British Council is a trusted name. 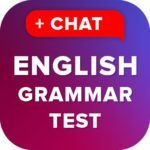 This is a free Android English grammar app that is designed to improve your grammar accuracy and is suited for language learners of all levels. 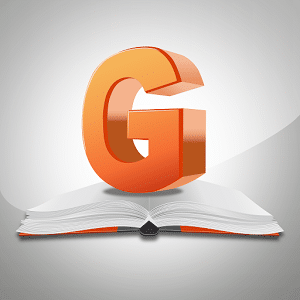 Divided into 25 grammar topics, the app has over 600 grammar activities and over 1,000 practice questions. It is packed with unique activities that will help you learn and memorize key concepts. There are even instructional images and help files available in Arabic, Chinese, Italian and other languages for non-native English speakers. 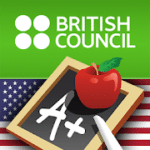 Best of all, you can choose to learn American English grammar (with the app linked above) or British English grammar with the U.K. version. If you are a dedicated learner who loves solving a lot of exercises and tests, then this app is the right one for you. These apps will help you gain a strong understanding of how verbs and tenses work in English. I suggest you look into these apps once you have grasped the fundamentals of English grammar. For English language learners, it can be difficult to understand the usages and differences between the 12 English tenses. Which is why this app is here to make things easier. 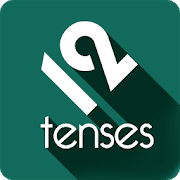 This app is designed to help you understand the structures of the different tenses as well as the right contexts to use them in. The app is available in both online and offline modes and has exercises involving multiple choice questions and arranging sentences. Not only will you be able to understand the key concepts very well, but you will have over 1,000 questions to practice and check your learning progress. This is also a must-have app for anyone preparing for English proficiency exams like IELTS or TOEFL. Verbs and nouns are the two most essential components of a simple English sentence. 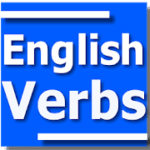 Therefore, having a strong grasp of the different types of verbs as well as verb conjugation is essential for language learners. This app is your key guide to some of the most-used verbs in English, as well as regular and irregular verb forms. If needed, you can see the verbs translated into languages such as Japanese, Spanish, German, Russian and several more. In addition to this, the app will help you understand tenses better, as well as the concepts of participles (a type of verb form) and infinitives (the base form of a verb). Grammar is not just a set of rules. You need to apply what you learn in your everyday conversations and writing exercises. Look for opportunities to practice your English as much as you can. Do not be afraid of making mistakes. That is a normal part of the learning process that you must learn from. Above all, be sincere and dedicated to your educational goals, give your very best effort and success will surely follow you around.